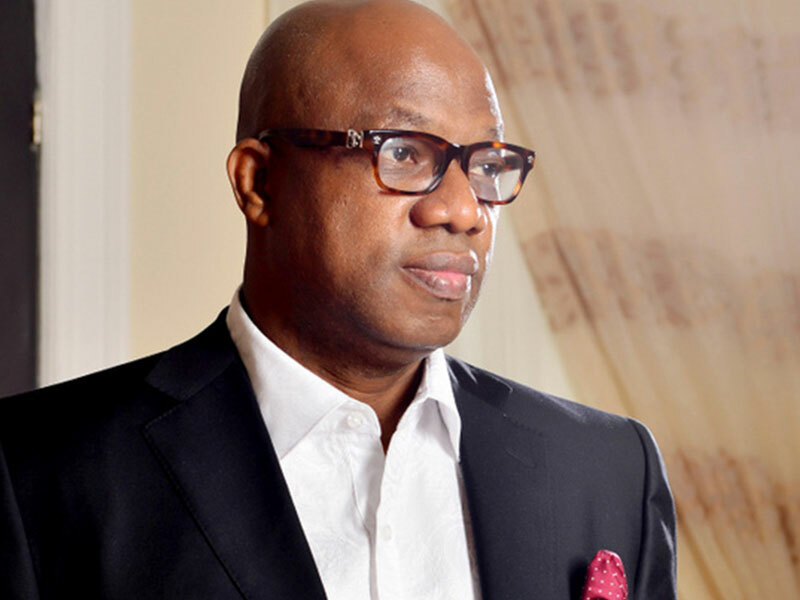 Ogun State governorship candidate of the All Progressives Congress (APC), Dapo Abiodun, has called on the electorate in the state to vote him as the next governor and re-elect President Muhammadu Buhari in the forthcoming general elections, to enhance Federal Government presence in terms of projects and for even spread of development across the state. Abiodun made this call while speaking at the palace of Isheri-Olofin, Oba Nurudeen Adebowale, as part of his ward-to-ward campaign tour to Ifo Local Government Area of the state. Accompanied by his running mate, Mrs. Noimot Salako-Oyedele and other party chieftains during the visit, Abiodun, stressed that the Ogun state cannot afford to lose the governorship seat to another party and expect to attract federal government projects, when the president is reelected on the platform of APC. He disclosed that his campaign train was in Isheri-Olofin Community to assess challenges such as bad roads, absence of a public hospital and a secondary school, security, among others, being faced by it, promising to provide solutions to the challenges, if elected governor. “APC is our party. I am the Ogun state governorship candidate of the APC. The Vice President, Prof. Yemi Osinbajo is our son and he is from Ogun State as well, while President Muhammadu Buhari is our presidential candidate. “I am urging you to cast your votes for all candidates that we have fielded into all elective offices in Ogun State on the platform of the APC. “Kabiyesi, I want you to help us spread the good news about our party to all your subjects so that they can vote for us in the forthcoming general elections. “On the various problems facing you in the community, I want to assure you that, we have not only come here to seek for your prayers but to afford us opportunities to know the problems you are facing here. We will go round and see what the problems are and we are ready to make amends. “There is a problem of bad roads in your community. We are going to rehabilitate them when we get into office. We won’t forget that we have made promises. “We can’t have a community as big as this, with a large population and yet, you don’t have a single public secondary school and a public health care centre”. APC governorship candidate stated. Speaking earlier, the traditional ruler of the community, Oba Nurudeen Adebowale, decried non inclusion of indigenes of Isheri-Olofin in the present cabinet of Ogun state government. The monarch, however, appealed to Abiodun to address what he termed as “anomaly”, if he emerges the next governor of the state. Meanwhile, Abiodun has assured the residents of border communities in Ogun state of better days, if he emerges as the winner of March 2 governorship election. He gave this assurance while addressing residents of communities bordering Lagos State such as Isheri, Ojodu Abiodun, Akute, Ajuwon, Ijoko, Agbado among others. According to Abiodun, years of neglect and infrastructural decay suffered by the community will be addressed by his administration, if voted to govern the state. “This campaign tour has given us the opportunity to move round these border communities and we have seen the level of their infrastructural decay. It is a clear indication that these places have been long neglected and the gap between them and the neighboring Lagos State is too wide in terms of development. Despite these challenges, the acceptability of our party still remains very high. Hence, we will ensure we start to ameliorate these challenges immediately we get into the office. “Some of the challenges we have identified which they have also told us are lack of motorable roads; public schools, functioning health centers, recreational facilities and other basic amenities like pipe borne water. I am assuring you that all these deficiencies have been captured in our blueprint and you will begin to see a new dawn when we assume office”. Abiodun submitted.